If there is one task that we have to do a good job at as the person with the CIO job, it’s bringing new people onboard. Sure, we can do a good job of recruiting and we can land the best and the brightest new talent, but if we don’t do a good job of bringing them in and introducing them to the company than how long do you think that they are going to hang around? Replacing workers is costly and time consuming. As CIOs, perhaps what we should do is to spend some time taking a look at how Alibaba brings its new workers onboard. The senior management over at Alibaba realizes that the future of their company really rests in the hands of the employees that they are bringing on board today. This realization has caused them to start to take steps to find ways to more fully integrate these employees into the company. 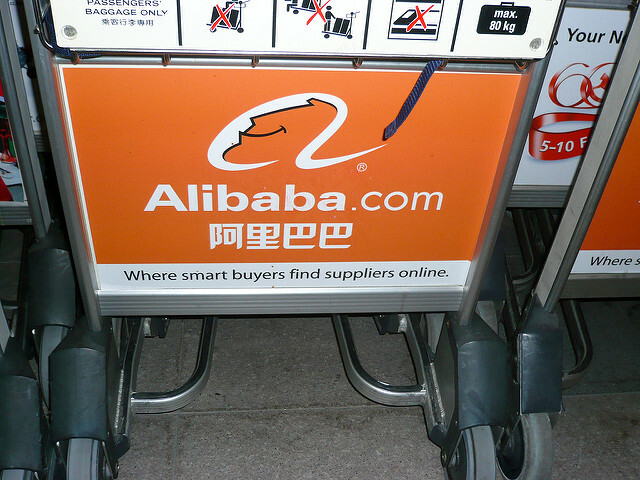 Just in case you didn’t know it, Alibaba is a Chinese company based, where else, in China. What this means is that a lot of company’s drive and philosophy has to do with being Chinese. Since the company hires workers internationally, this can cause some problems. What the company has decided to do is to create a program that will allow a select few of its international hires to participate in a yearlong immersion program. This program will allow them to get to know Chinese business, language, and the Alibaba company culture. The goal of this program is to create China-trained leaders who are globally minded and who can create and manage partnerships with Western retailers. Alibaba is trying to achieve a business goal. They would like to be able to change their business model so that they earn 40% of their revenue outside of China within the next decade. Alibaba’s motivation for creating this training class is that they would like to be able to create a workforce that will be able to do business all around the world without running into cultural or commercial issues. Alibaba has stated that they plan on running this program for at least 10 years and they eventually hope to grow the program’s enrollment to 100 students at a time. Let’s face it, as the person in the CIO position, you fully realize just how expensive a program like the Alibaba program must be. Just the logistics of getting your company to approve a program like this could be a real nightmare. However, it’s pretty clear that the senior management at Alibaba seems to view the expense and hassle of setting up this program as being a good investment. The people at Alibaba who are participating in the program generally join the program after attending business school or after having spent a few years working in fields such as IT or marketing. As an indication of just how popular the program is, over 3,000 people applied to enter the program the first time that it was offered. In order to get into the program, the applicants had to undergo several rounds of interviews and the finalists got to visit the company’s headquarters in China. When a student is enrolled in the program, they will complete two six month rotations at Alibaba. Additionally, they will take classes on Chinese culture, politics, and economics. When the program is over, the students return to the Alibaba offices in their home countries. The hope is that this training will allow Alibaba to remain true to its Chinese culture and its roots in China. As your company’s CIO, you fully understand the importance of information technology. This means that you know that the new hires that you are bringing on board today are the people who will eventually end up running the company one day. You would like to be able to introduce them to the company in a way that would allow you to show them how the company works from the bottom up. The Chinese online firm Alibaba has created a program to do exactly this. The program that Alibaba has put together involves selecting a group of international workers and bringing them to China for a year. During this year they will be immersed in how the Alibaba business is run as well as Chinese language and culture. Alibaba is making this investment because they want to start to earn 40% of their revenue outside of China within a decade. People in the program complete two six month rotations and then return to their home countries. The program that Alibaba has put together represents a big bet. Hosting a group of students in a training program that lasts for a year in a remote country is a major expense for any company. However, clearly Alibaba believes that this investment is going to pay rich dividends. As your company’s CIO, perhaps you should take a close look at the Alibaba program and decide if perhaps your company could benefit from a similar sort of program. Question For You: If you decided to create a training program like Alibaba’s, do you think that it should last for a full year? CIOs exist in order to help their companies do more things and do them faster. The person in the CIO position has the responsibility of marshaling all of the company’s IT talent and using the importance of information technology to work on projects that are going to help the company to do a better job of competing. However, there’s a very interesting question that comes up when it turns out that this simply is not going to be enough. What should the person with the CIO job do then? What Can IT Learn From How Chrysler Makes Cars?